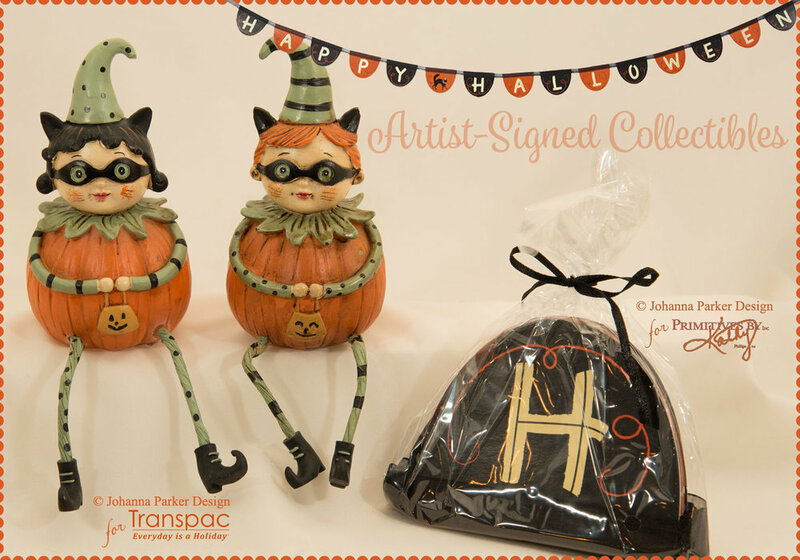 Enjoy this medley of Signed Collector Sets & Singles from Johanna's collectible Reproduction lines. 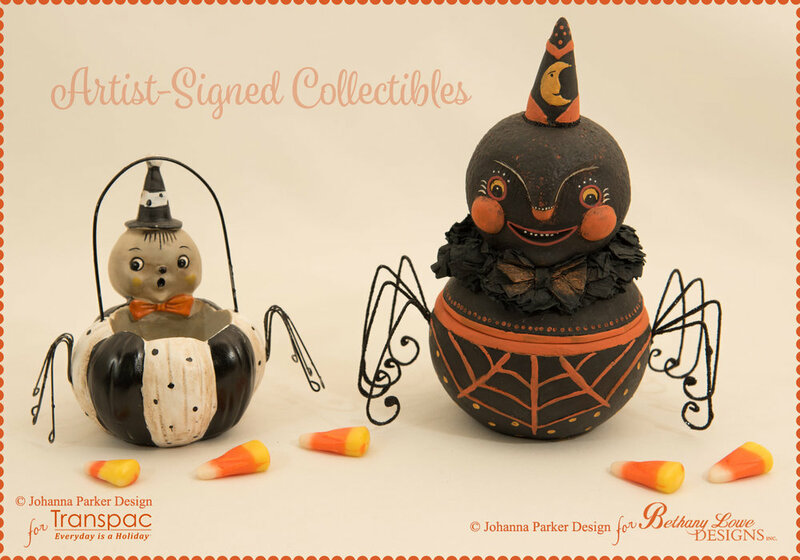 Each piece is signed by Johanna, inspected and often re-touched for you! 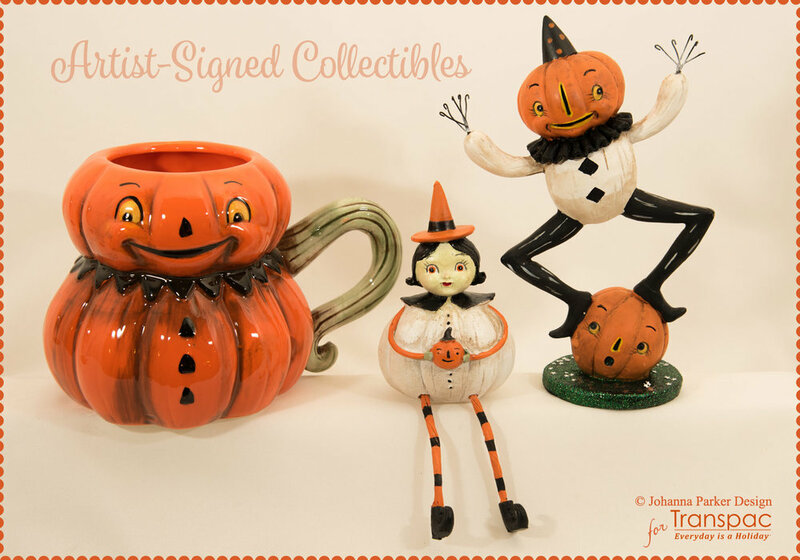 These collectibles are handmade by the companies that Johanna licenses her art to, so expect details to vary somewhat from piece to piece. Please click on the individual thumbnails for a larger view. To request a Collector Set or Single, please send us an EMAIL. Your TITLE should include the NAME of the item sets you are interested in. Thank you for your interest & Happy Treasure-Haunting! $92 plus shipping - EMAIL to reserve! $66 plus shipping - EMAIL to reserve! $48 plus shipping - EMAIL to reserve! $50 plus shipping - EMAIL to reserve! $67 plus shipping - EMAIL to reserve! $41 plus shipping - EMAIL to reserve! $60 plus shipping - EMAIL to reserve! "Boo Boo Ghost Candy Bowl"
$99 plus shipping - EMAIL to reserve! $84 plus shipping - EMAIL to reserve! $68 plus shipping - EMAIL to reserve! $88 plus shipping - EMAIL to reserve! $38 plus shipping - EMAIL to reserve! $40 plus shipping - EMAIL to reserve your set! $69 plus shipping - EMAIL to reserve! $36 plus shipping - EMAIL to reserve! $64 plus shipping - EMAIL to reserve! 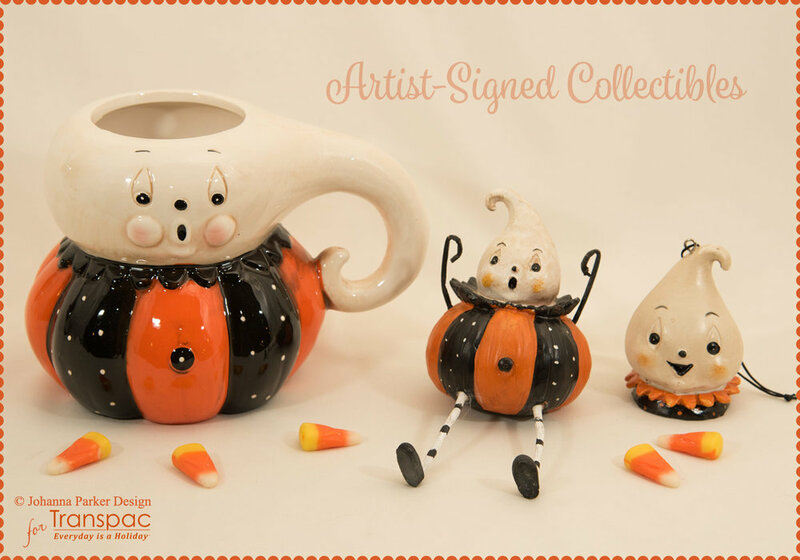 DON'T MISS our Halloween Sale of Folk Art Originals HERE!